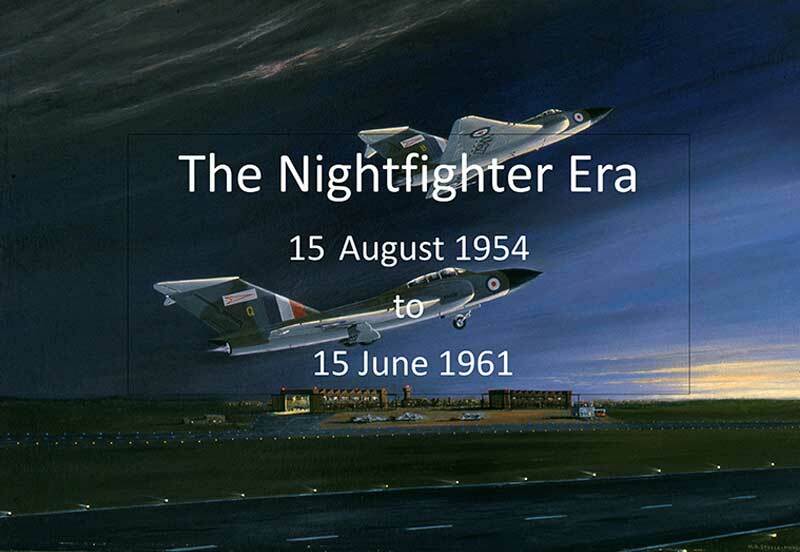 The Squadron once again re-formed, this time at Odiham on 15 August 1954 as a night fighter squadron equipped with Meteor NF12 and 14s. 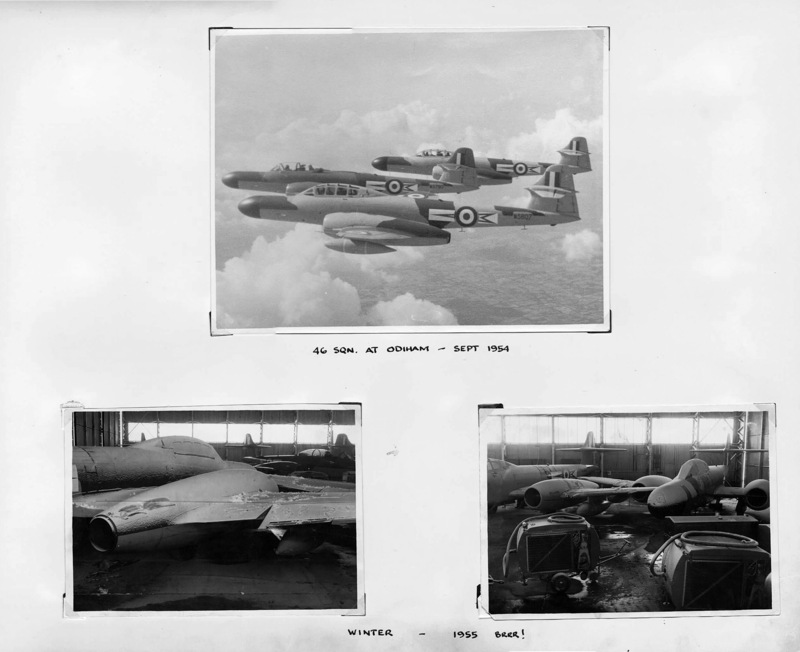 The early days were affected by shortages of manpower and equipment; although training began almost immediately, it took until the end of October for the Squadron to reach a strength of 12 NF12/14s and one Meteor 7 for training and categorisation. 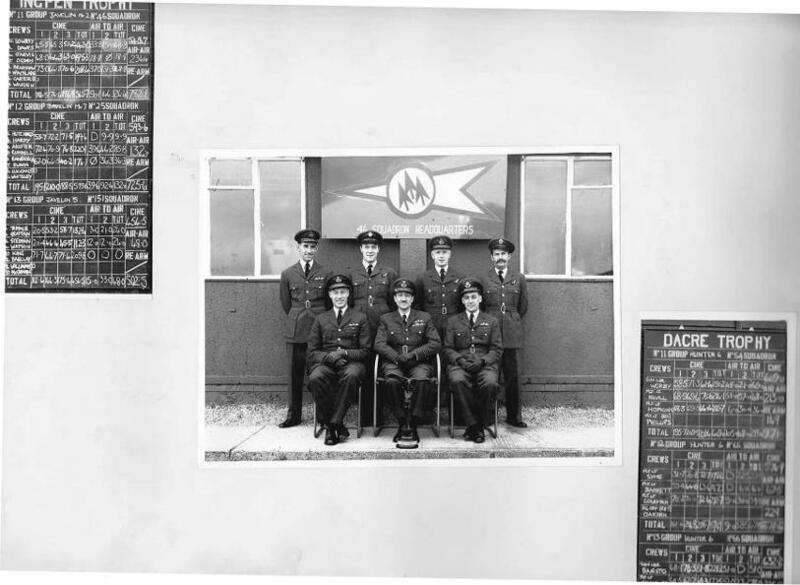 By March 1955 when Wing Commander Birchfield took over as CO from Squadron Leader Ross, the manpower situation was improving, but MT shortages caused problems for the Squadron, whose dispersal was on the opposite side of the airfield to the rest of the station. 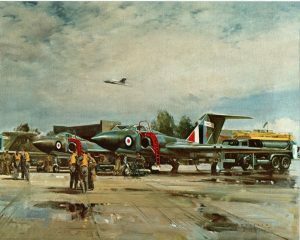 By June 1955, it was recorded that the Squadron had received some Meteor 8s for target towing, and that its strength had reached 48 officers and 110 NCO/airmen. 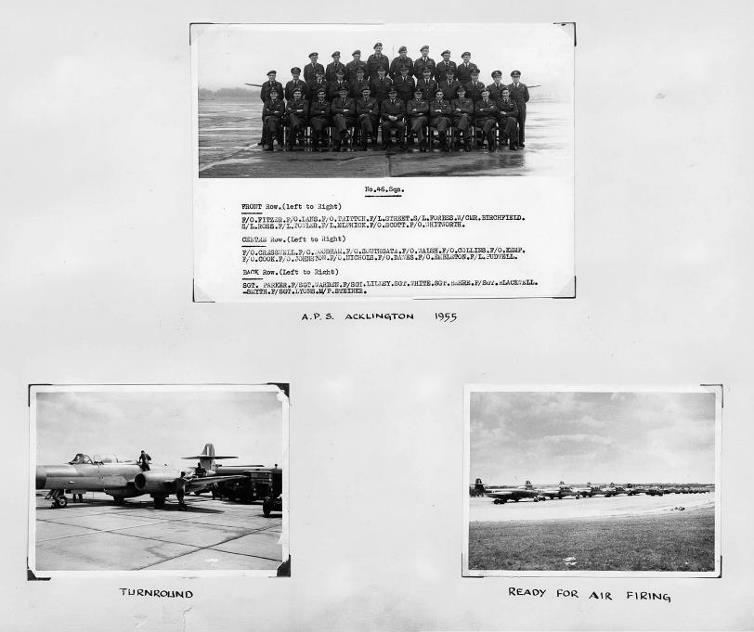 By August, when the Squadron went to Acklington for APS, the aircraft totaled 16. The following paragraphs are an extract from the “The Meteor Boys” by Steve Bond. 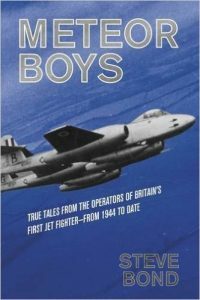 It is planned to launch a sister book “The Javelin Boys” at Duxford next September. 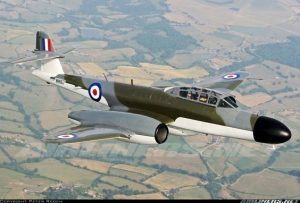 The extract details Squadron Leader Mike Kemp’s controlled (sort of) departure from a Meteor at 1500 feet! Read on and be grateful it wasn’t you. 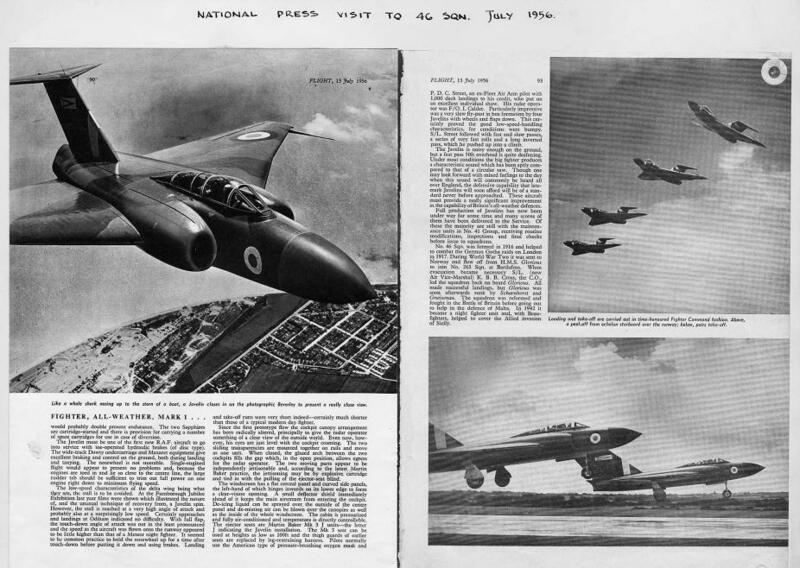 “I was on No 46 Squadron at Odiham and the night-flying programme for 25 January 1955 had me down to fly one of a pair of Meteors on two sorties of PIs. The weather was appalling and the forecast was for the prevailing fog to thicken quite quickly. 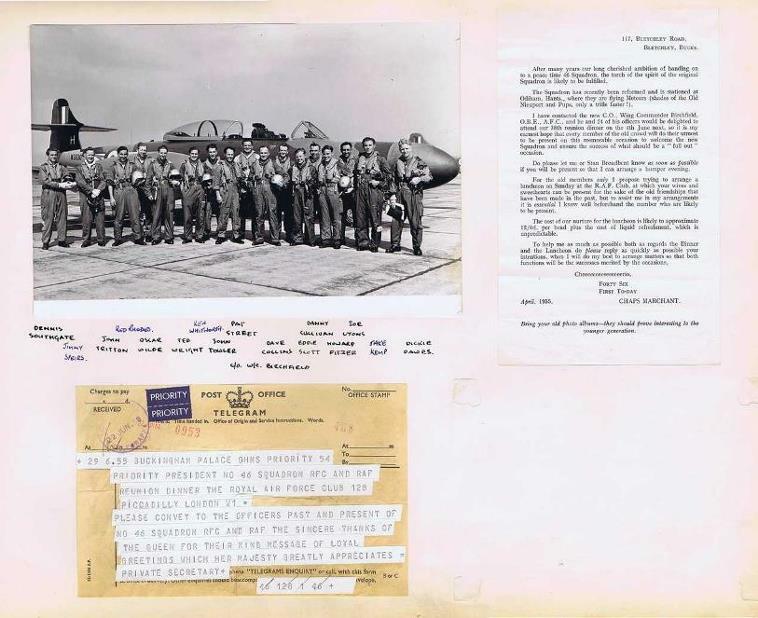 Resigned to flying being cancelled, we were surprised to be told to get airborne; the first sortie was completed and by the time we landed, the fog had thickened considerably and we did not expect a second launch – we were wrong and departed again. We completed the departure procedure and climbed to our allotted flight-level, being handed over to Sopley Radar for control. 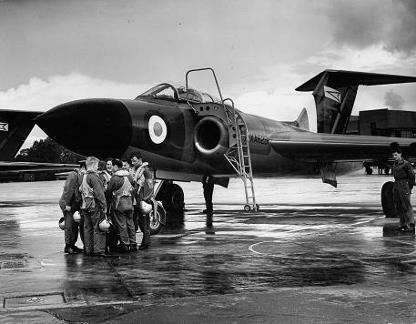 No sooner had we levelled out than we were instructed to return to base because of worsening weather and then, still in the turn, a further instruction came to divert to Lyneham. 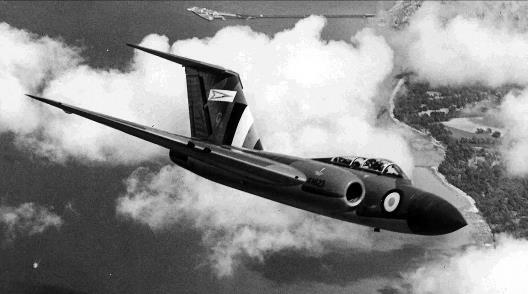 My navigator, Fg Off Taff Martin, passed me a heading and we set off, calling Lyneham on the frequency given by Sopley Radar – there was no reply. 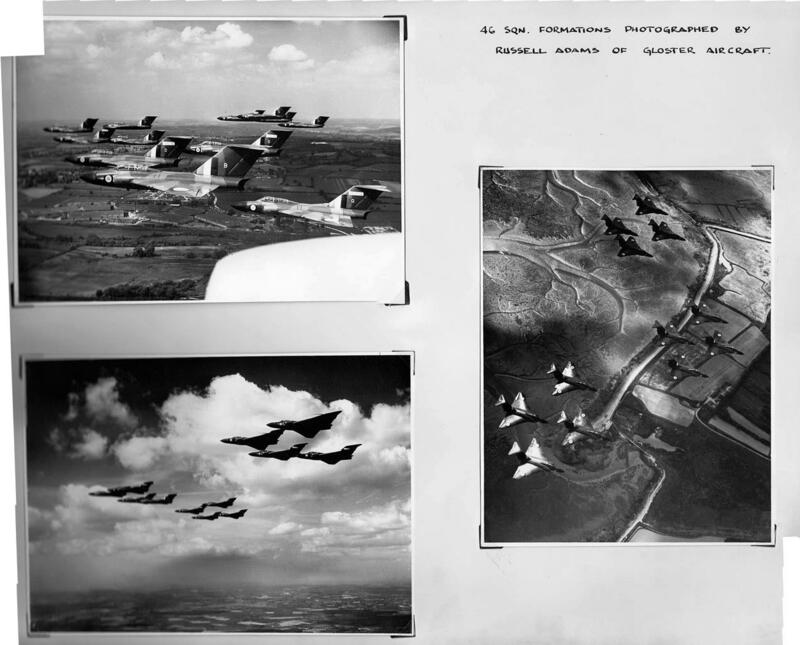 There were two radio boxes in the aircraft with ten frequencies in each. After calling Lyneham several times without success, I called them on the emergency frequency of 121.5 – still no reply so I made an ‘All Stations’ call on that frequency but met only silence. I then transmitted on every frequency in turn but there was no response and it became apparent that we had suffered radio failure. 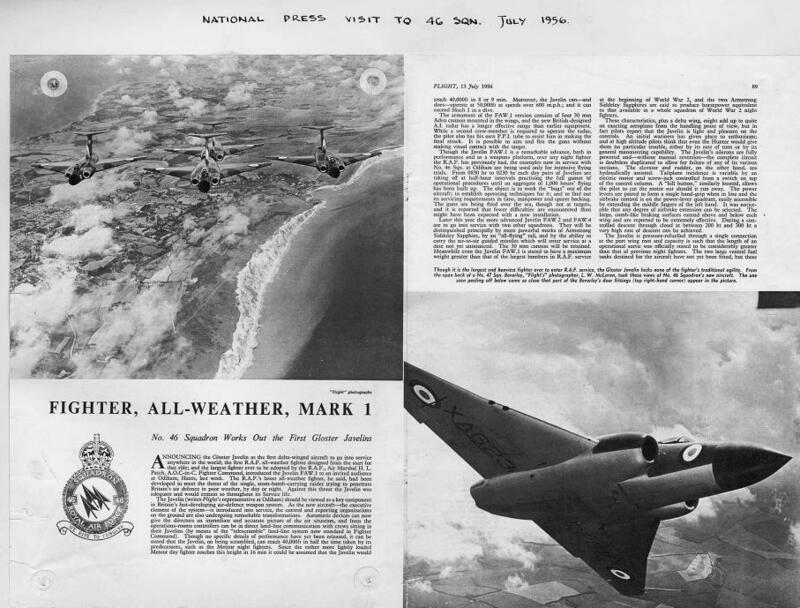 The problem was where to go, for the weather briefing forecast poor conditions over a wide area and approaching an unfamiliar airfield at night in such conditions, without radio, was not appealing. Playing for time to think, I shut down one engine for endurance and decided to head back to Odiham, transmitting on all frequencies, planning to do a Procedural Approach in the hope of picking out the approach lights for a landing. As we began the approach, contact was re-established on the local frequency which was then, as if by magic, set up for a precision radar approach. Fuel gauges indicated a near zero level but, as I looked up, I saw a very faint glint of light that must have been the runway lead-in lighting and I thought we’d made it. This was immediately dashed as the controller told us that the other aircraft of the pair had crash-landed, completely blocking the runway. 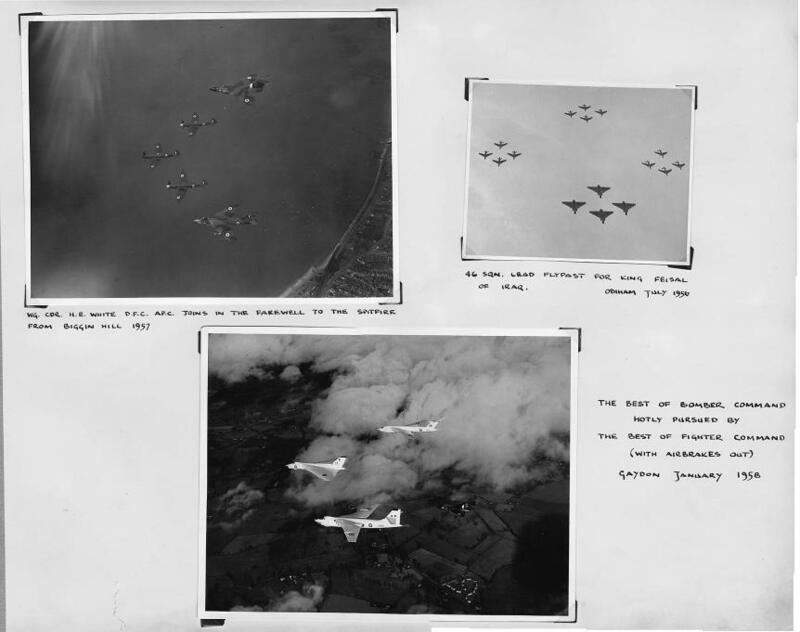 I immediately overshot – there was only one action open to us now, to gain height and abandon the aircraft. I climbed to 1,500 feet, levelled out, noting that the fuel gauges showed empty, and told Taff, to prepare to abandon the aircraft. 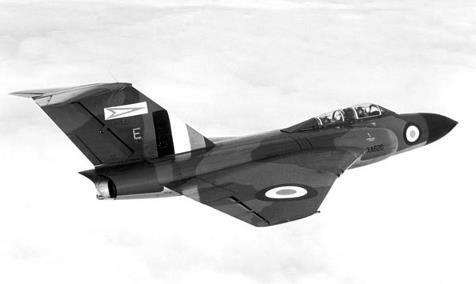 The NF.14 canopy moved fore and aft; in emergency it was designed to lift a few inches at the front and the slipstream would jettison it. I activated the jettison lever, the canopy lifted the requisite few inches and there it stayed. To cater for this, a small lever resembling a bicycle tyre lever had been provided; I took hold of that, bending it double with my effort, but the canopy didn’t budge. Loosening my harness, I slid down until my back was on the seat, placed my feet on the canopy and pushed with all my might, to see it disappear. Regaining my position I extended the airbrakes to slow down and told Taff to jump. He disconnected his radio lead but almost immediately re-connected, to tell me I’d forgotten to retract the airbrakes, which I did immediately and he departed. 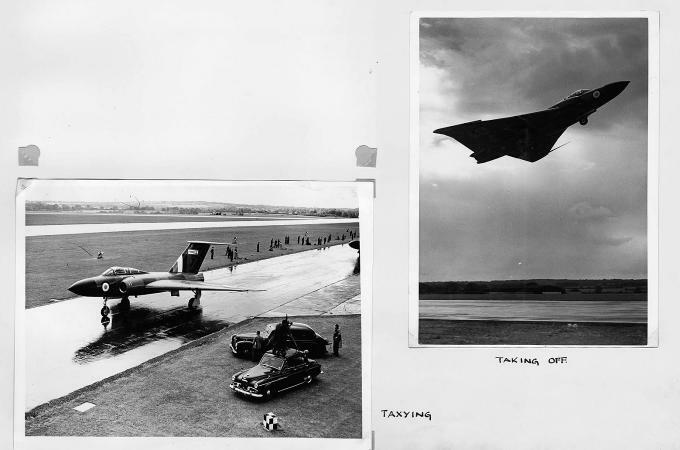 Leaving the aircraft with the airbrakes out would have been very dangerous. I made a final radio transmission, ‘Navigator gone, I’m going now, goodbye’. “Tumbling through the blackness I counted to ten, pulled the rip-cord and, after the crack of the parachute opening, found myself suspended in a silent world. 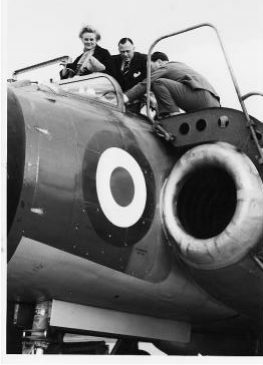 Convinced that I was over the sea, I removed my leather flying helmet, held it at arm’s length ready to drop it – so that the lead would not cause any entanglement in the water – when I saw lights below me. Replacing my helmet I prepared for a hard landing, but it went well. I could just make out that I had landed about ten feet from the edge of a quarry and that there were houses behind me, one of which had lights on. Rolling up the parachute as best I could, I walked towards the house and knocked on the door which was opened by a little old lady in a dressing gown. I explained what had happened and requested the use of her telephone. I made a call and the operator quickly had me talking to the ATC controller at Odiham. A vehicle came to collect me and returned me to the Mess bar, where Taff joined us. His landing had been cushioned by a large heap of farmyard manure and one of his flying boots was hung in the bar until, much later, it finally disintegrated. 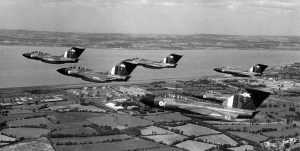 In January 1956, the Squadron began converting to Javelins. 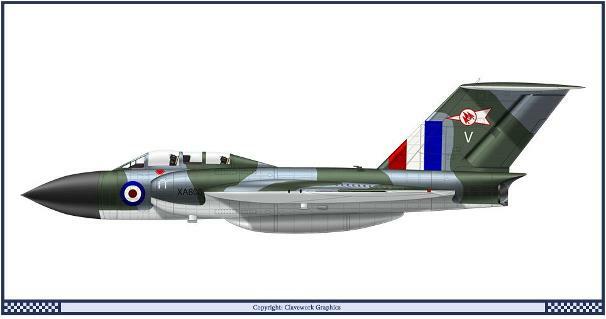 The first Javelin FAW Mk 1 arrived in February together with 8 Meteor NF 11s: the NF12s were sent off to 72 Squadron. 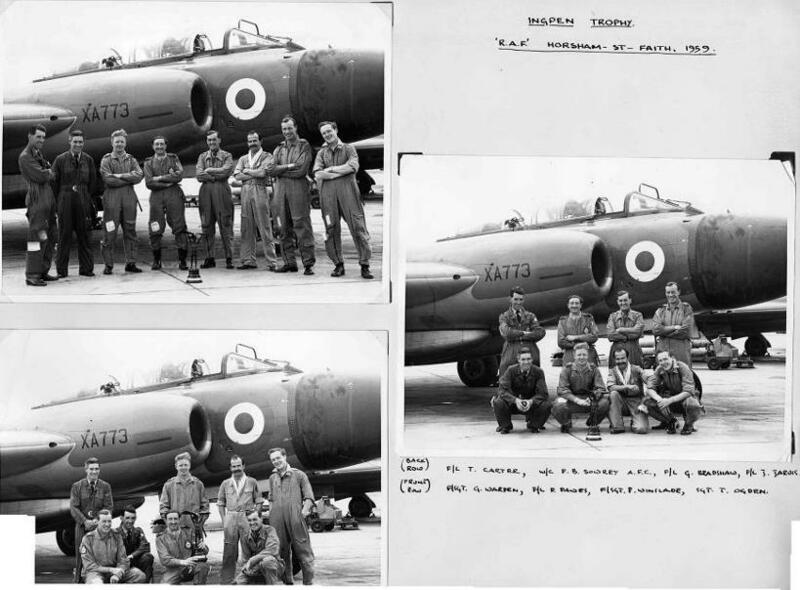 By May, all Squadron pilots had converted and 15 Javelin were held; 8 of these were earmarked for intensive flying trials whose target was 1000 hours in 2 months – a feat believed by some to be impossible, but achieved in fact by “a wartime spirit”. 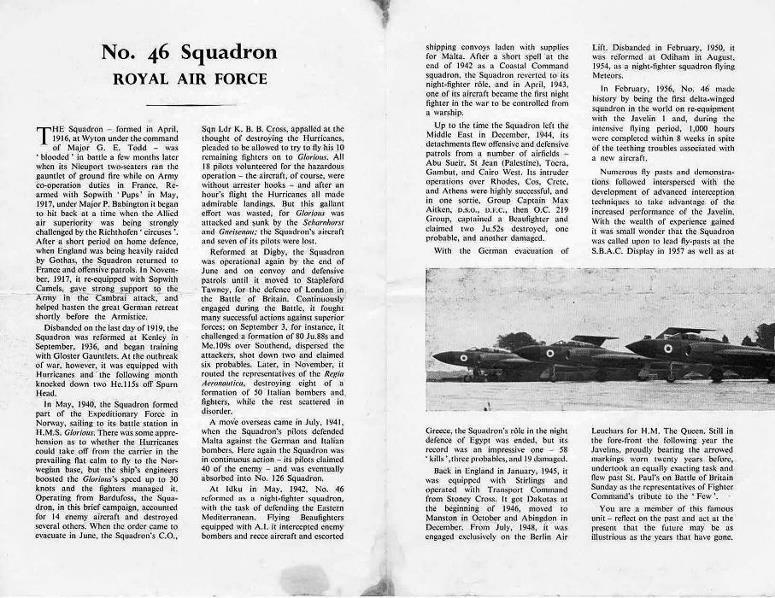 On 15 June, the Squadron lost its CO, Wing Commander Birchfield, in a Javelin crash. 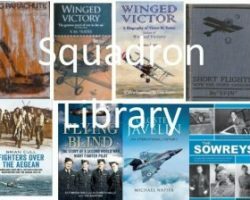 He was replaced by Wing Commander H E White. 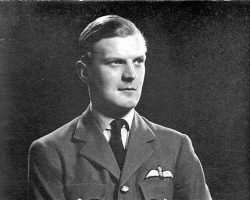 A later CO was the then Wing Commander Freddie Sowrey, a scion of the famous RAF family. The book “The Sowreys” is thoroughly recommended. 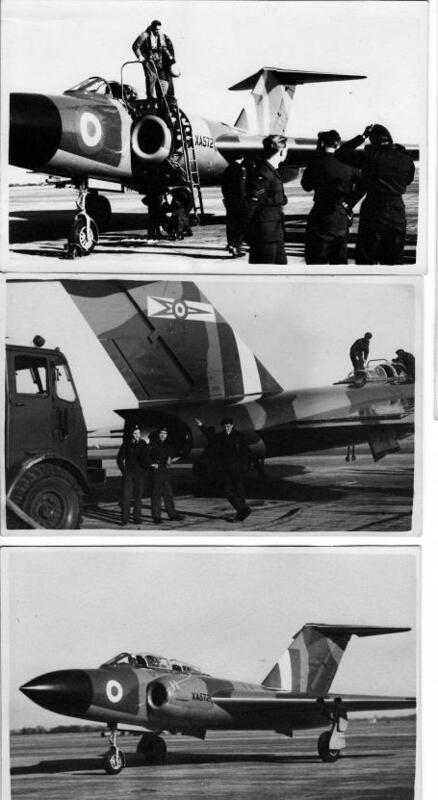 Over the years, the Squadron continued to train by participating in many exercises such as Halyard, Cold Wing, Kingpin Adex, Ciano and Bombex, and took part in various trails including those of new pressure suits and helmets. 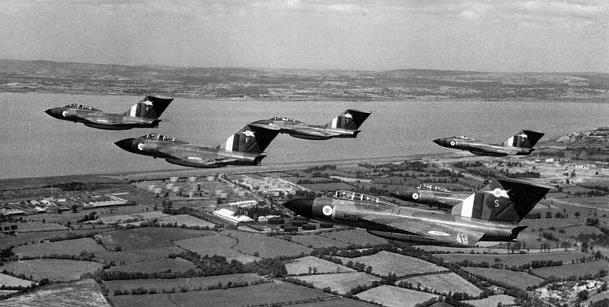 The problem of poor serviceability and lack of spares continued when the Mk 2 Javelins replaced the Mk1s in 1957. The beginning is to place the event and my artwork has stood the test of time. 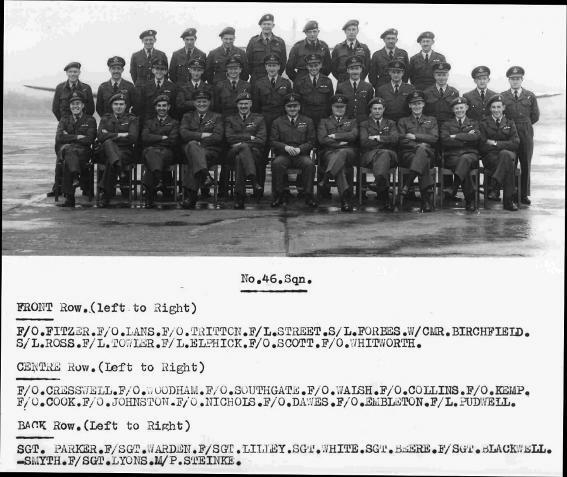 The 45 Javelins dispersed to 4 airfields – we moved to Stradishall and the 45 Hunters behind me also from 4 airfields. 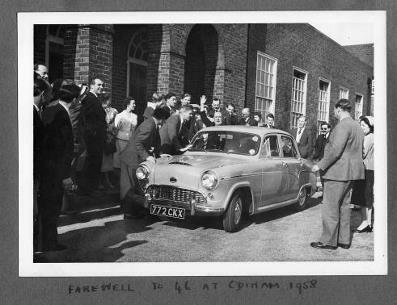 46 Sqn crews arrive for briefing in the Squadron Hillman Van wearing not much as it was hot low level. 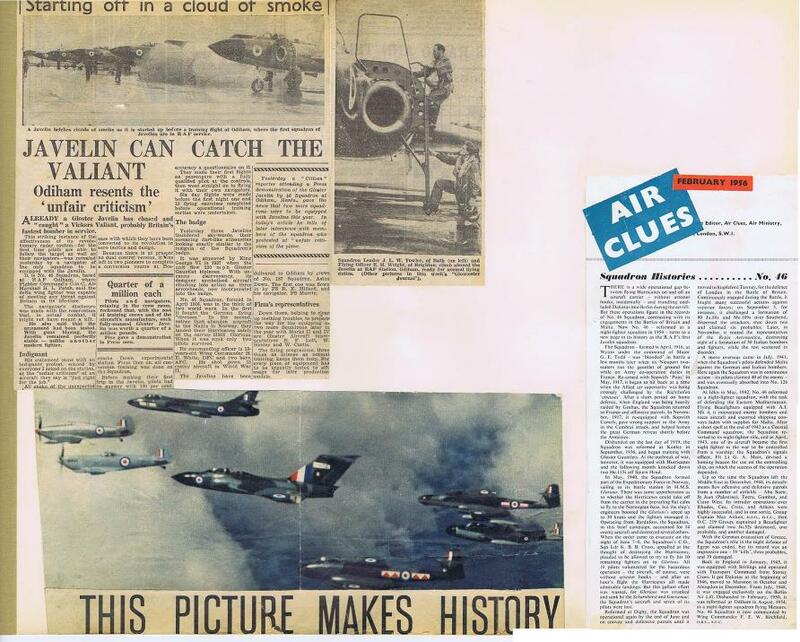 Start up with impressive smoke from the cartridge starter and pairs take off to get aircraft quickly airborne with high/low to avoid the jet wash. Formed up and flying, the movement gives a wonderful feel of the constant shifting in a close formation – it is close because it is flown by professionals. Over Farnborough the white smoke is from the item before us. 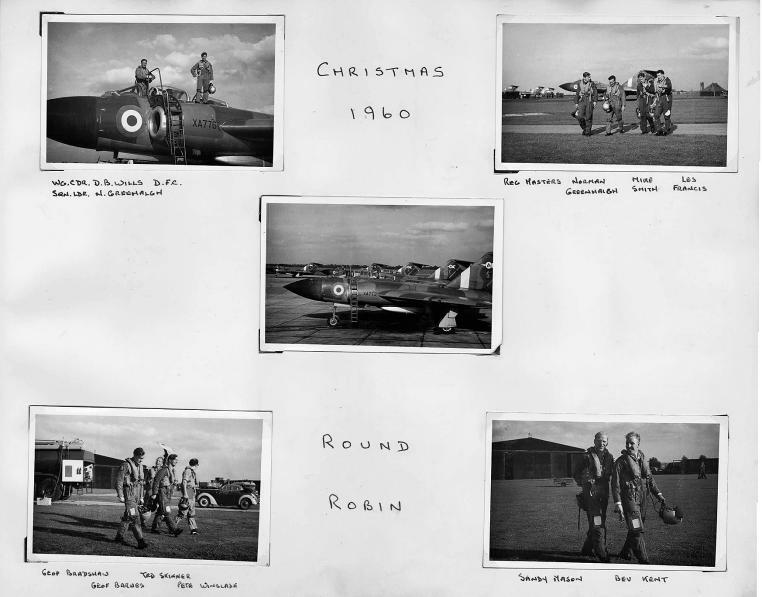 On the last day we landed back at Odiham, quick change, and to Farnborough in the lengthening shadows. 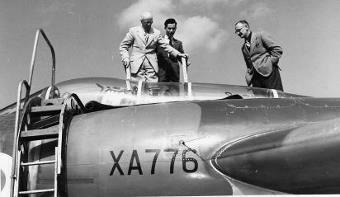 The pictures then continue with practice for 1959 Farnborough. Here 46 were leading again. 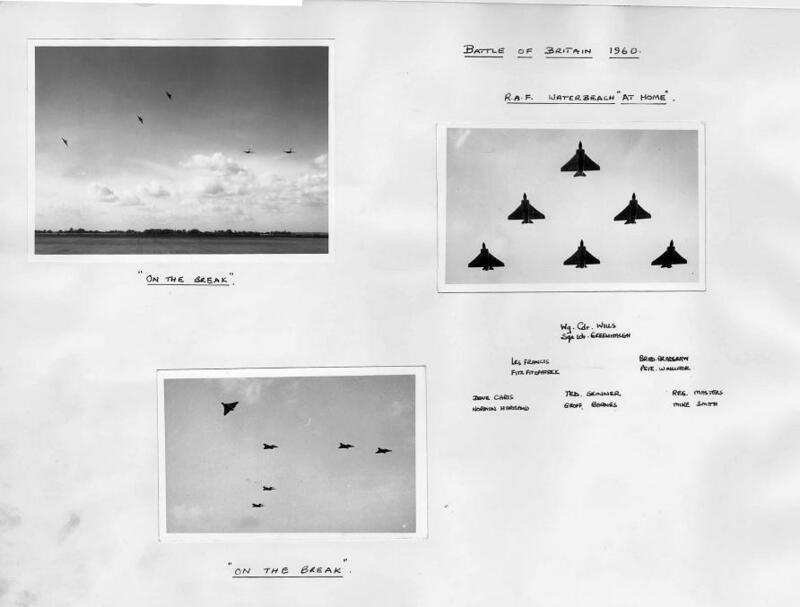 I was tasked to take a “Delta of Deltas” underneath a delta of Vulcans coinciding over the President’s tent with an overtaking speed of 100 knots. 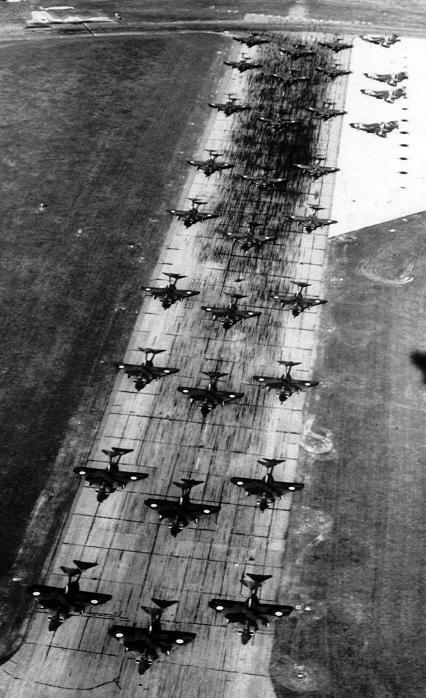 The finish shows an echelon running in to break and land, and taxying in. Truckies might like to admire the crew transport! 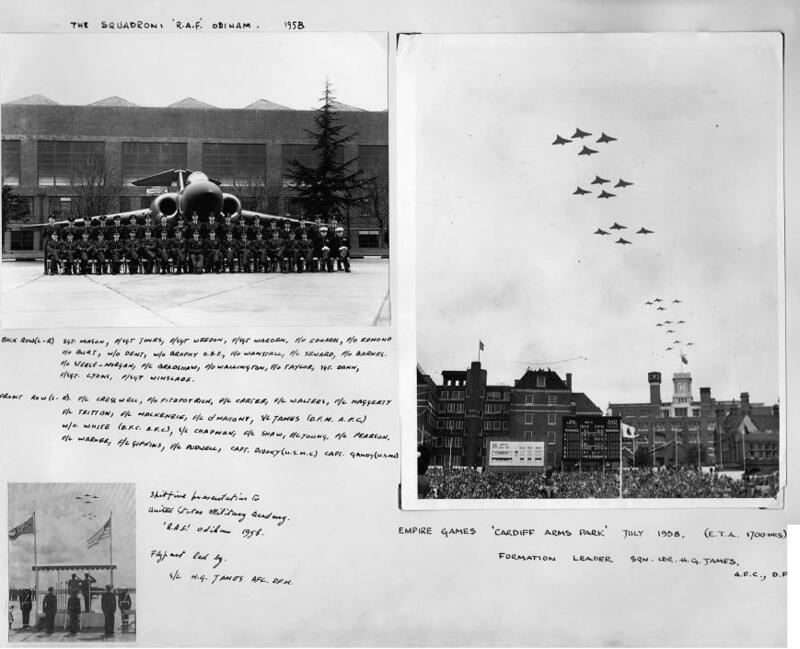 In April 1959, the Squadron sent 6 Javelins to the French Air Force 1/30 Squadron at Tours, whilst the French sent Vautour aircraft to Odiham. 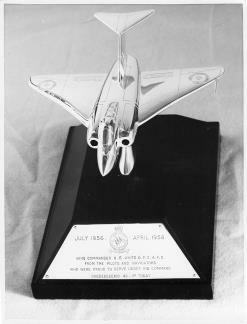 In June the Squadron won the Ingpen Trophy after being 3rd in 1957 and 2nd in 1958. 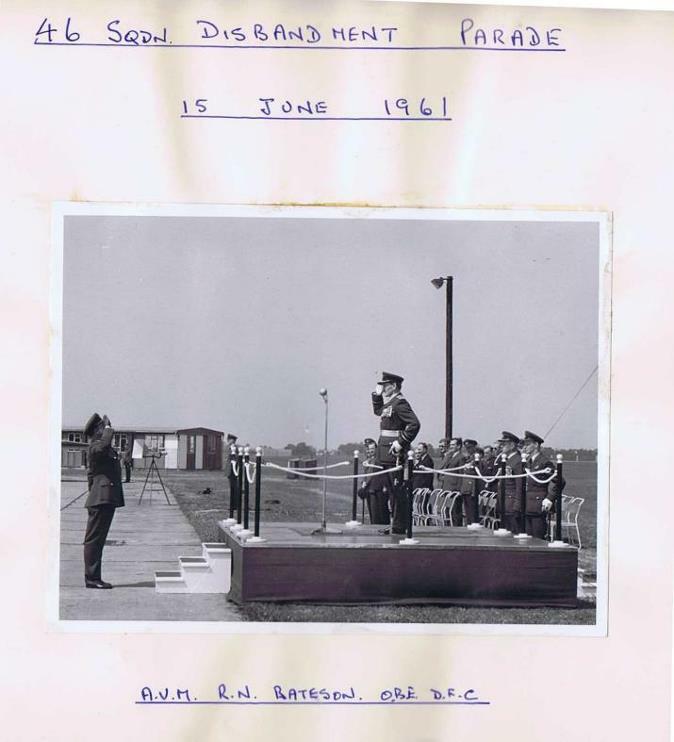 On 30 June 1961, the Squadron disbanded yet again. 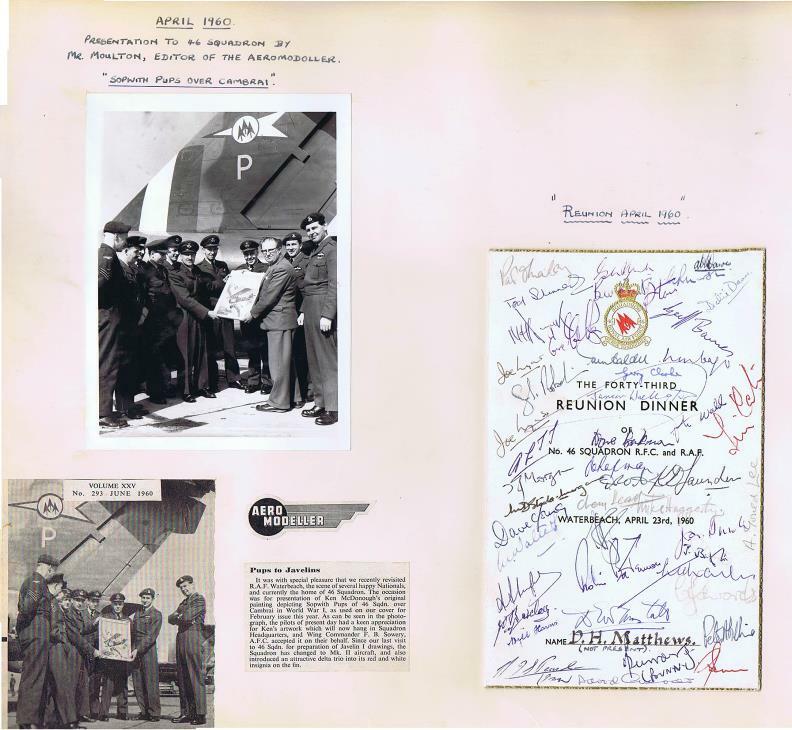 Click HERE for The Squadron Operational Record Book from October 1954 to June 1961. 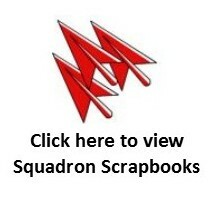 You can see the Squadron Scrapbooks from the Nightfighter Era below; you can also download a PDF version (and keep it!) by clicking on the Javelins – enjoy. 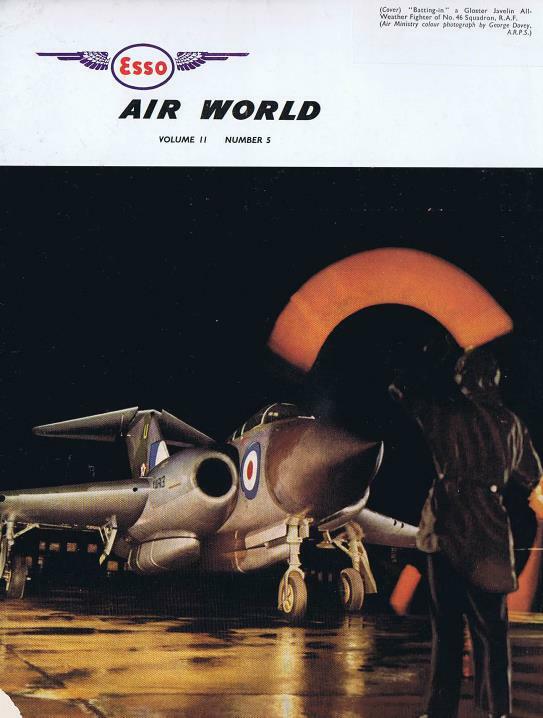 This PDF gives a relatively short history of the Javelin. 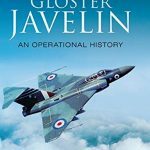 Michael Napier has written a comprehensive but very readable book “Gloster Javelin; an operational history”; it is highly recommended. 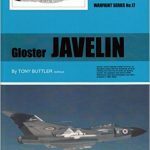 Another book “WPT017 Warpaint Books – Gloster Javelin” by Tony Buttler appears to be available only on Amazon’s USA site. 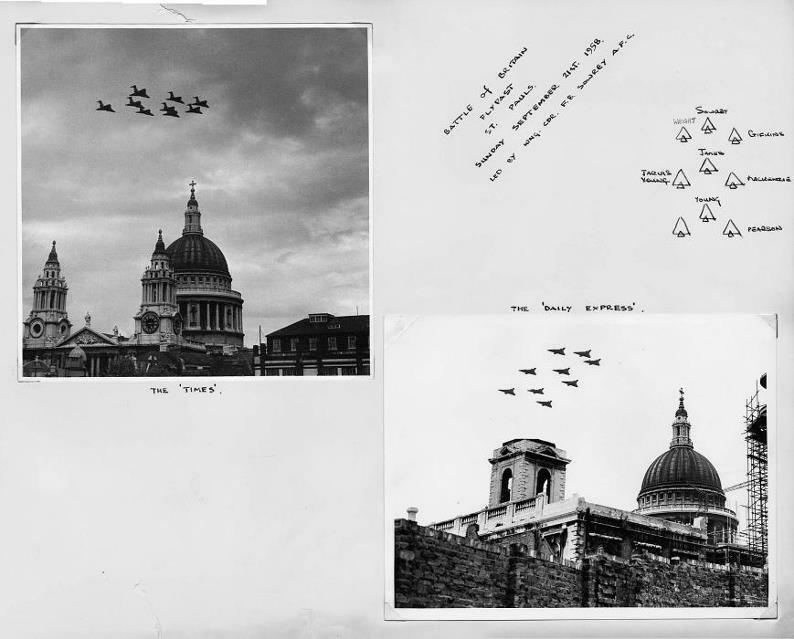 Airborne radars used by Britain during WW2 and afterwards include the British Air Interception (AI) series AI Mark III used on the Bristol Blenheim, the AI-17 Post-war British Air Interception radar built by Decca codename “Yellow Lemon” and used on the Gloster Javelin, the AI-18 built by GEC and used on the De Havilland Sea Vixen, the improved US-built APS-21 system used on the new Meteor night-fighters NF12 and NF14 (first flew on 21 April 1953), the US-built Westinghouse AN/APQ-43 airborne radar exported to the UK with designation AI-22 for the Gloster Javelin FAW.2 to FAW.6 (replacement for AI-17), and the AI-23 built by Ferranti and used on the English Electric Lightning.